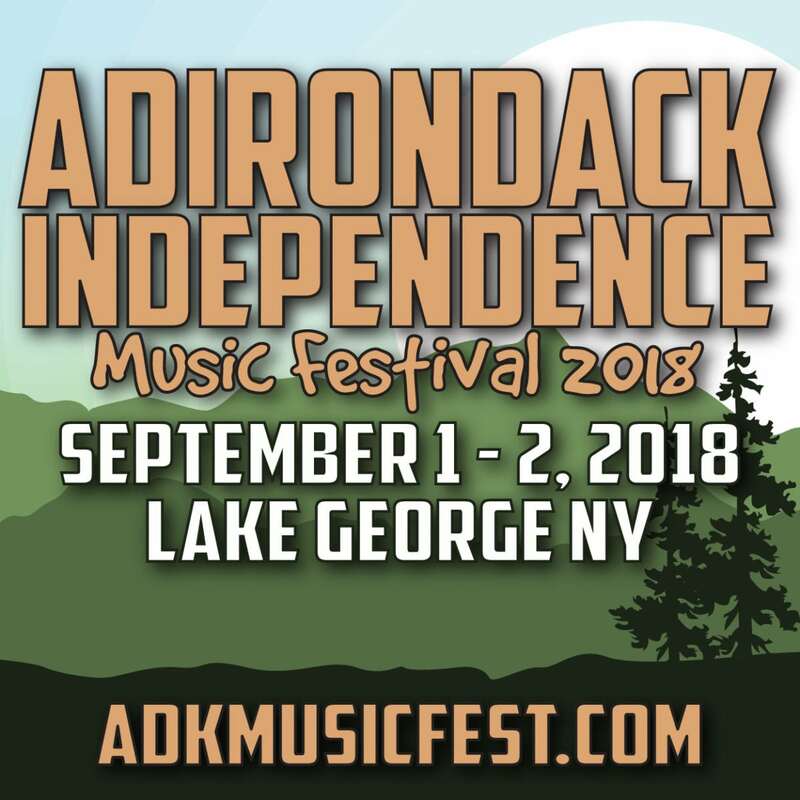 The Adirondack Independence Music Festival has announced that Twiddle will headline Saturday of the two-day festival over Labor Day weekend in Lake George. They will perform two sets on Sept. 1. 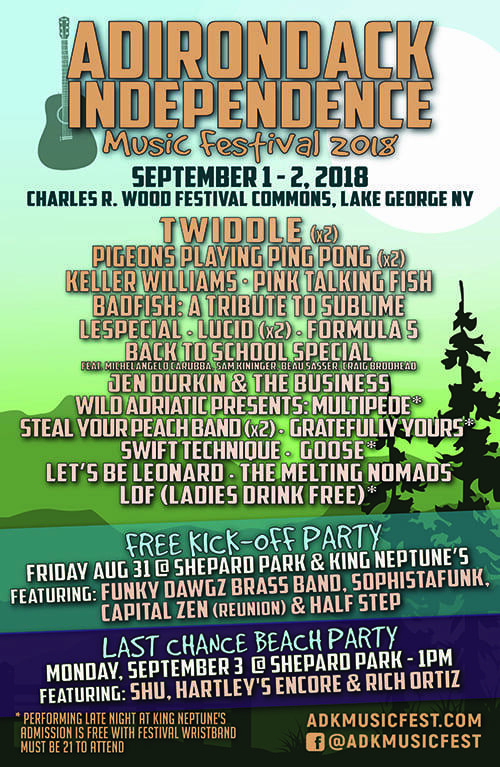 Twiddle joins a bill loaded with big names and bands on the rise that includes Pigeons Playing Ping Pong, Keller Williams, Pink Talking Fish, Badfish, Lucid and Formula 5. Also announced on Thursday is the addition of the “Back to School Special,” consisting of Michelangelo Carubba (Turkuaz), Sam Kininger (Lettuce/Soulive), Beau Sasser (Kung Fu) and Craig Brodhead (Turkuaz). As previously announced, the festival will feature music on two alternating main stages from 1:00 p.m. until 11:00 p.m. each day. 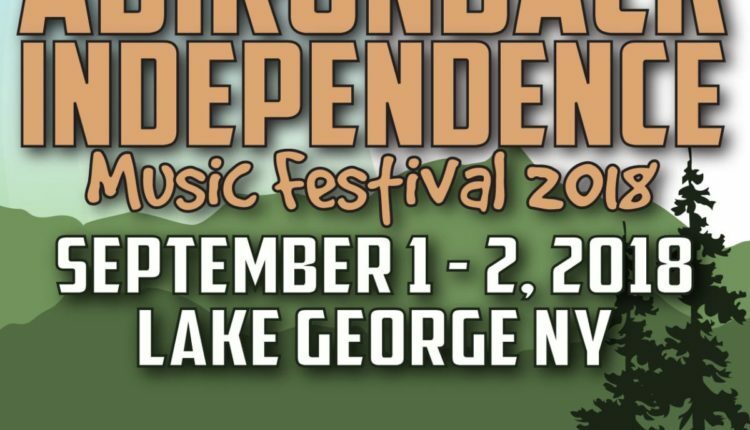 Late night sets will occur at Neptune’s, just up the street from Lake George’s Charles R. Wood Festival Commons, until 3:00 a.m. 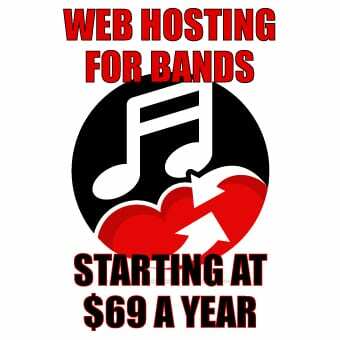 Two-day passes for the festival are $80 in advance and $45 for single day tickets. For more information on the festival, visit the website here.